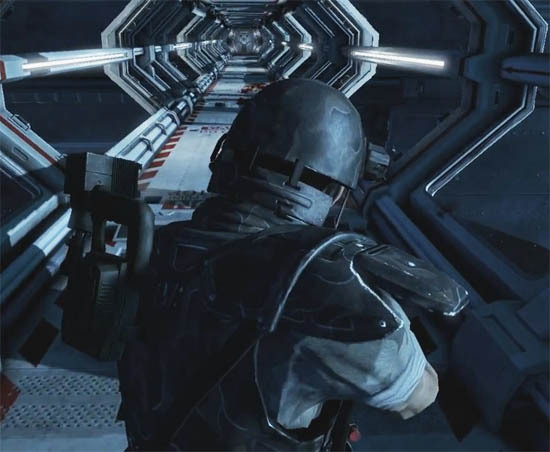 GAME NEWS: Sega & Gearbox Unveil the Hive in New 'ALIENS: COLONIAL MARINES' Trailer! Sega & Gearbox have released a new teaser trailer for their highly anticipated upcoming Aliens: Colonial Marines which features the Alien infested engineering room of the U.S.S. Sulaco. Colonial Marines takes place after the events of James Cameron's Aliens. Players are part of a team sent to search for survivors at the colony world LV-426. In their search, they'll revisit many locations from the movie including Hadley's Hope & the U.S.S. Sulaco which is now completely overrun with xenomorphs. The ship's engineering room has been turned into a hive. Gearbox will release Colonial Marines on the Xbox 360, PS3, PC & Wii U next month. Hit the jump for the details. I'm reading: GAME NEWS: Sega & Gearbox Unveil the Hive in New 'ALIENS: COLONIAL MARINES' Trailer!Tweet this!